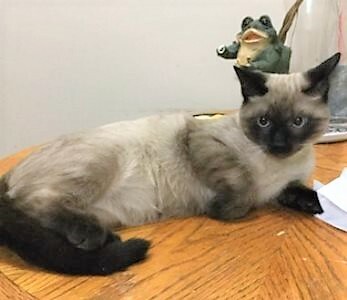 Vero’ is a 5.5 month old, neutered male, Seal Point Siamese. He is full of fun and loves to play. He is a little spoiled and does have his “drama queen” moments, but he’s so cute he just gets away with it! If you would like to meet Vero, you can visit him at Pet Valu Sage Creek during regular store hours.